Tony Maytahuari López is 16 years old and lives in the community of Amazonas (Marañon river) with his family. His family is defined by trust and respect and his mother always gives him advice about life. For a long time, he had fun doing activities that were in his comfort zone, such as reading books or taking care of his younger siblings. As he grew up, his curiosity grew and he began seeking new ways to entertain himself. The only problem was that he did not know what to do. When he was 10 years old, three community leaders (promotoras) from Minga Peru visited his community to work with his mother, who was also a community leader. He listened to their conversations about conservation of the environment, and was surprised to learn about the high level of deforestation in his community. That night, he told his mother that he wanted to know more about the subject, and she happily took him to a workshop on agroforestry the very next day. When he arrived, he sat in a corner and took notes of everything he heard and learned. Tony continued accompanying his mother to workshops and gained a connection with the other promoters and participants that allowed him to feel comfortable enough to voice his opinions in front of everyone at meetings. Deforestation was still the forefront of his concern. One day he had the opportunity to make the change: his mother bought a piece of land. He decided that the best thing would be to plant plants and fruits in the unused spaces, as aguaje (Amazon fruit), and thus take advantage and optimize the use of natural resources and avoid plant and fruit shortages. At the beginning, he had difficulties, such as lack of tools, but his mother, with the support of Minga Peru who had seen potential in him, managed to donate them to finish his small environmental project. “I saw my friends play during the afternoons, and I also wanted to play. But attending the workshops allowed me to grow as an entrepreneur and that gives me a higher level of growth and satisfaction”, Tony said. Tony’s project became a success, with more than 200 plants growing on his mother’s land. Although his routine became more demanding, he kept looking for ways to attend the workshops to learn techniques that would allow him to keep his project thriving. After noticing that Tony showed characteristics of a leader, his teachers decided to name him a delegate of the school. He was happy with this opportunity because he felt he could create a platform for talking about the importance of preserving the environment and about the satisfaction one has when undertaking a project of their own. At the same time, Tony participated in exhibitions during the visits of the ships from the Lindblad Expedition – National Geographic. During these exhibitions, he had the opportunity to tell people of other cultures and countries what he learned in Minga Peru’s workshops, and how they have improved his life as a young entrepreneur and conservationist. Tony presenting his aguaje fruit reforestation project in front of Lindblad-Expeditions’ guests. Since Tony started participating in the workshops 9 years ago, he feels more comfortable socializing. At the beginning, his watering project was designed to combat deforestation in his community, but now he has realized that he can also generate income with this type of project and not negatively impact the environment. With his income, which is around 90 soles (30 USD), Tony is happy to be able to support his family and show his school classmates that undertaking and taking care of the environment is possible, and that the impact is even bigger when you start doing it from a young age. Tony is one of more than 80 young people from seven communities in the Peruvian Amazon who receive training in environmental conservation and eco-friendly income generating projects from Minga Peru, and who also train in radio correspondence to participate in Bienvenida Salud episodes. These young people also participate in school talks to share what they have learned, reaching more than 800 young people on the subject. 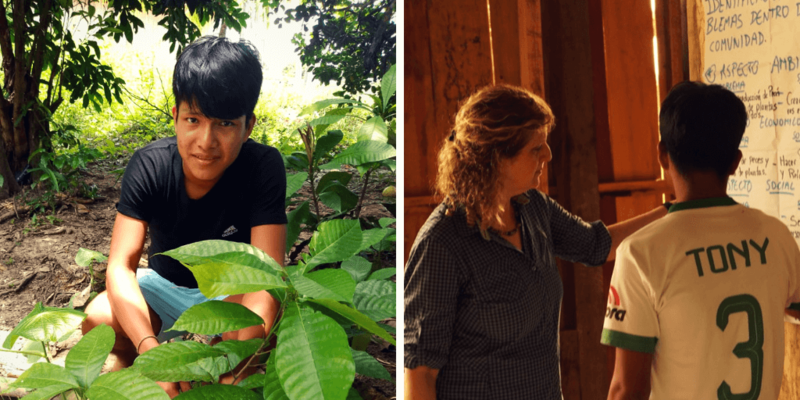 You can help more young people like Tony from the rural communities of the Peruvian Amazon to learn about entrepreneurship and environmental conservation, and achieve their dreams. 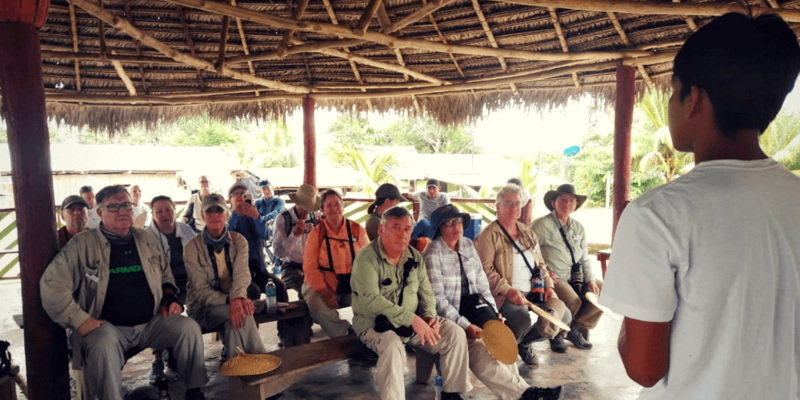 We are thankful to Lindblad Expedition – National Geographic, New Ingland Biolabs Foundation and Friends of Minga Peru for their continuous support.